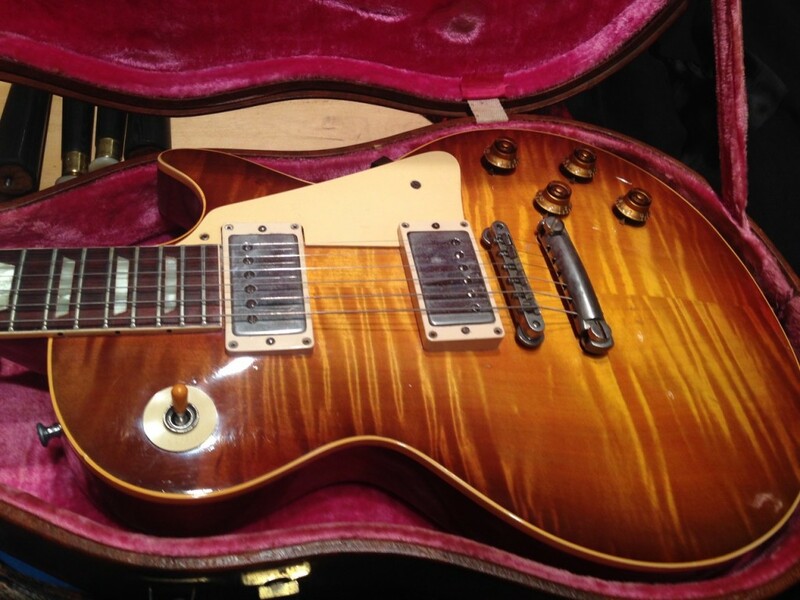 This is an original guitar built in the golden era of Gibson guitars 1959. It has a distinctly figured flame top. It is in good condition and plays well and sounds great. And comes with its original brown case.